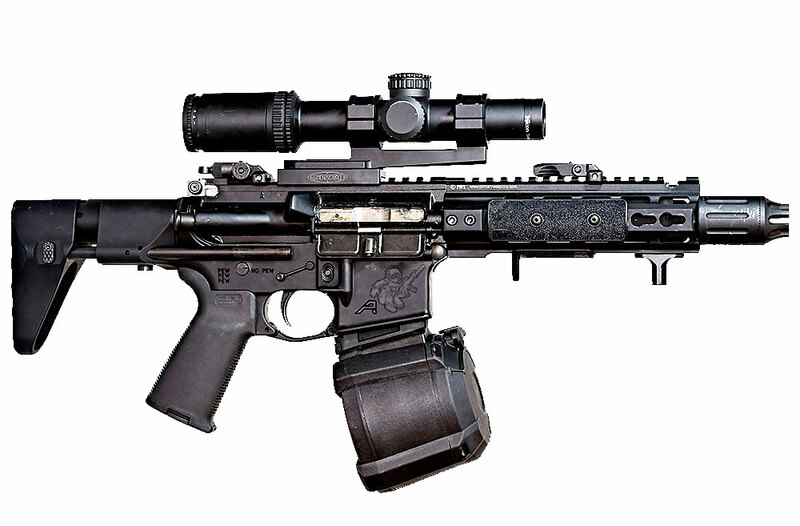 According to Trijicon, the Accupower was designed for multi-purpose application, from 3-gun to hunting. 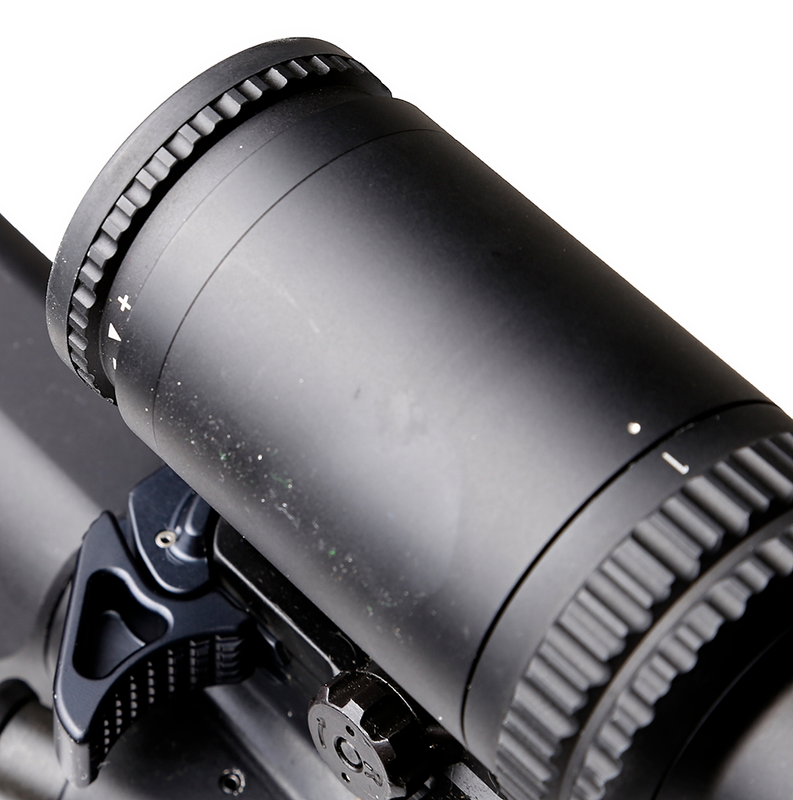 The MIL-Square reticle was created by a former Marine Sniper which uses the BAC (Bindon Aiming Concept) to help the user determine range while adding contrast of the green (or red) LED. When Trijicon first released this LED Accupower with the Green MIL-Square reticle I preordered it and have been running this optic in a Bobro 30mm Extended Optic Mount. I paid around $725 for the Accupower from Amazon and the Bobro from SWFA was around $200. 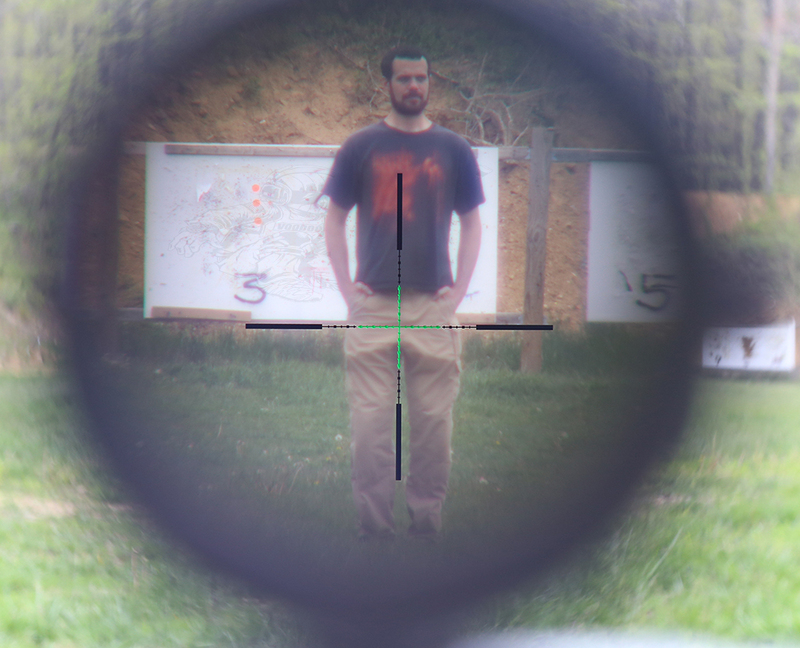 Just in case you missed it, I did a post about Optics, Reticles, PID vs. Distance. In which I used the Accupower to show a few things. You can check out the post, but I want to highlight something about the Accupower for this review. After we moved him back to 100 yards, while the reticle itself has not changed from 4x magnification and brightness illumination, you can see that using the distance or size estimation function of the reticle is pretty difficult. While I did not have the opportunity to use the Accupower during a hunt, I did use it, sans rifle, to track various slow to fast moving objects and I can say without hesitation that the ability to use the hashes as a tool is extremely difficult. Trijicon optics have always been on my short list. I have owned several Trijicon optics from the TA31F-G ACOG, various RMR 's, an RX06 Reflex Sight (read the review) and when this LED version came out I jumped right on it. When I purchased it in July of 2015, I needed a replacement optic for my USO SR4c which was getting serviced at the time. This fit the bill as cheaper 1-4x but still above the Leupold VX-R Patrol 1.25-4x optic I had recently reviewed at that time. Both have similar reticle designs, though the Accupower did not have a daytime visible red dot, it had the MIL-Square which I wanted to try so I got that to test it all out. The 30mm Bobro mount was on my short list for a while of mounts to try so I decided that even though its cost bumped the total optic cost a good bit, it was well worth to test it out. Bobro has a really good reputation for building quality mounts and I had met Mr. Bobro at SHOT earlier that year and decided that I needed to support his cause. The Accupower came in the typical Trijicon red optic box and well packaged. I quickly realized that I was going to like this optic because it was light and the eye box was very forgiving. At 1x the glass is on par with the USO's I have run and at 4x it is exactly the type of magnification I would expect from a Trijicon optic. Very clear reticle, daytime visible illumination and lack of distortion at the edges in magnification. Setting focus was very easy to do using the focus ring. Once I set it, it did not move. I know that it has been a standard to use duck-tape or the like to secure the focus ring in place, but I did not in this case. Once you remove the turret caps you see that the adjustment wheels are super easy to use. I used a 100m zero (Thank you F2S Consulting) and once that was setup I set that as zero on the wheels and forgot about it. Setting eye relief was pretty easy as well as the Accupower's eye relief is good. The Bobro mount was super easy to install. You just have to follow the instructions and use the provided hardware. There is a lot of math done so that it would be that simple, and install was really simple. I have used this optic on several different uppers ranging from 16" to the 7.75" PDW SBR it is on now. I have around 10,000 rounds through AR's with this optic on them and I have never once lost zero. The magnification wheel is pretty easy to turn, unlike some other LPV's which you have twist at full strength to move sometimes. 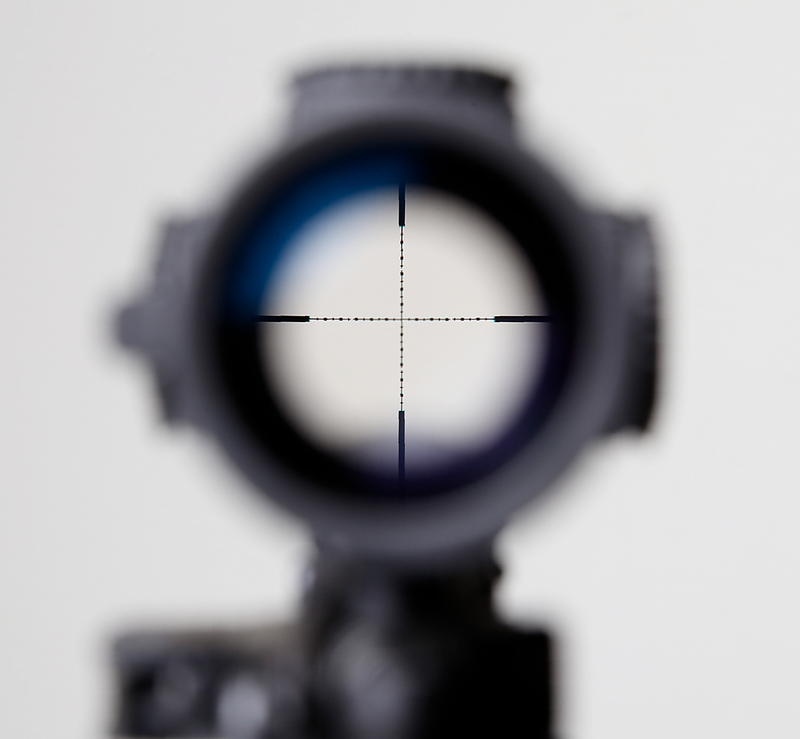 When using the reticle without illumination, especially while prone, it is very natural to apply it to a target. The MIL-Square crosshair measurements can be made by squaring off the reticle with a person - as in putting the middle of the crosshair at the bottom of a person's feet or at a person's shoulders or arms, if you know the estimation of size which would allow you to do a proper calculation. Trijicon has a pretty decent explanation of how to properly use MIL's for calculation of target size, mil size and yards (or meters) to target. If you do not understand this and cannot figure it out from the listed website or the various youtube celebs, I would highly recommend taking a class with a vetted instructor who is known for not only understanding the math behind this whole thing but able to teach you how to use your equipment properly. Who am I talking about? Bill Rapier, Kyle Defoor and Jack Leuba are those instructors. 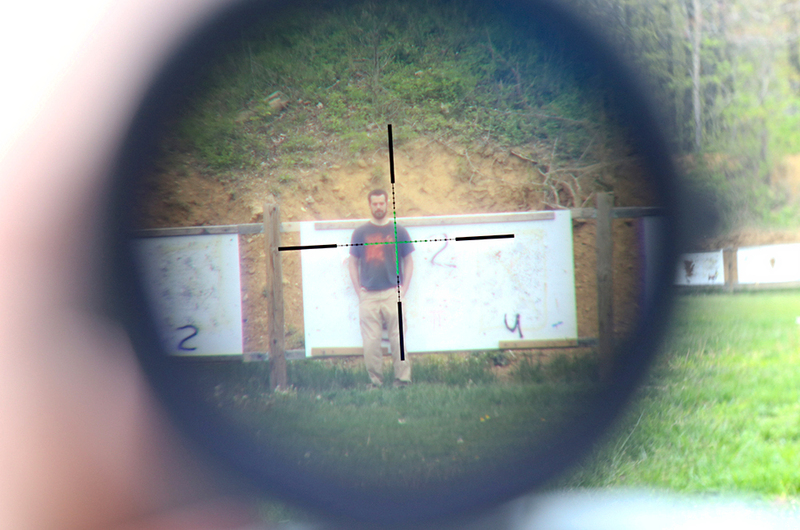 My buddy Sean is standing at 50 yards, the reticle is on maximum brightness and you see that the reticle is not crystal clear. Sure you can make out the large hashes but the little ones are difficult to figure out. The Bobro mount, however, is not difficult to use in any way. The single lever configuration makes removing it and reattaching it very easy. The mount retained zero without a single hiccup. While the range estimation function is diminished in reality, the overall construction and otherwise applicable function of the optic is pretty good. The glass is clear and never fogged up or became blurry during my time with it. Adjustments were always smooth and the zero did not once get bumped out of place. 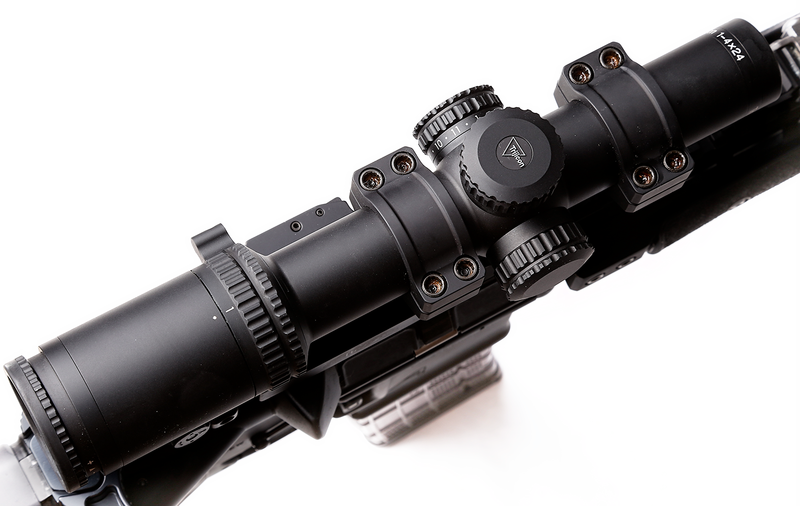 The LED serves as a very decent replacement for the standard red dot, even at 4x magnification. At 1x the green MIL-Square allowed me to quickly pick up the crosshair and make good shots. At 4x targets were always clear, the quality of the glass is a good bit above the field at the time of similarly priced optics. 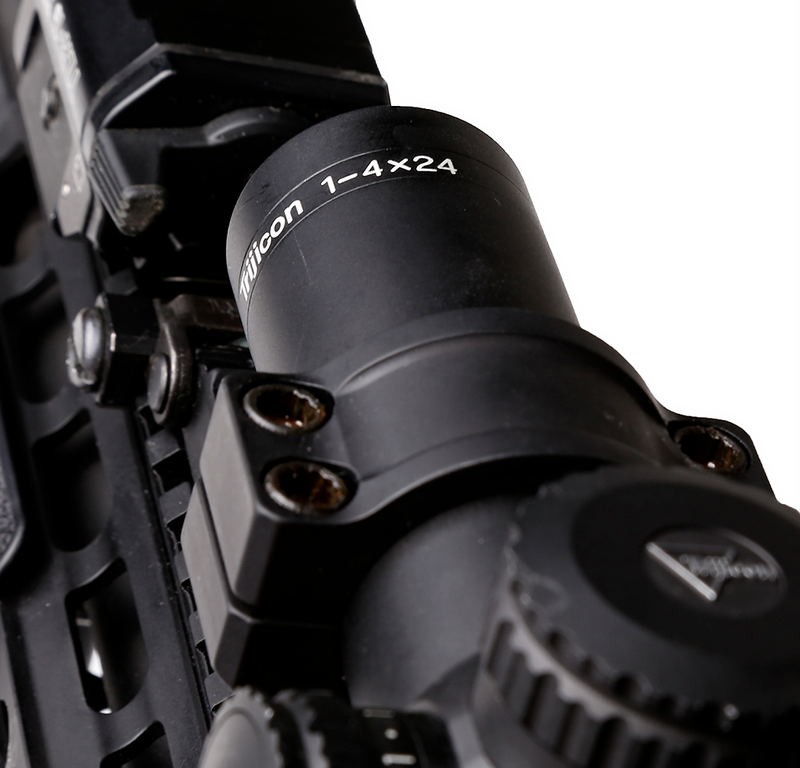 Trijicon hit a homerun with the LED Accupower series of optics. However, I would personally recommend not getting the MIL-Square because of how difficult it is to use for the ranging/estimation function. 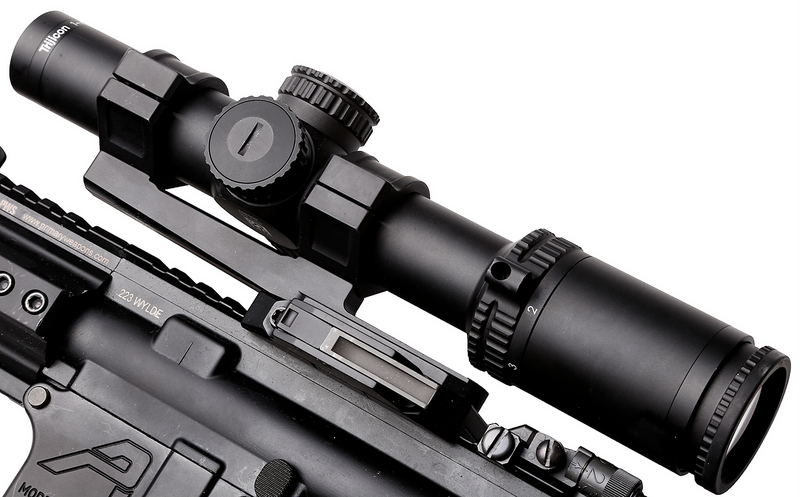 If you get this specific optic without consideration for that part, then you have a great optic, with good glass and a very good daytime visible reticle which can be used in various eye catching ways to make good hits on a target. 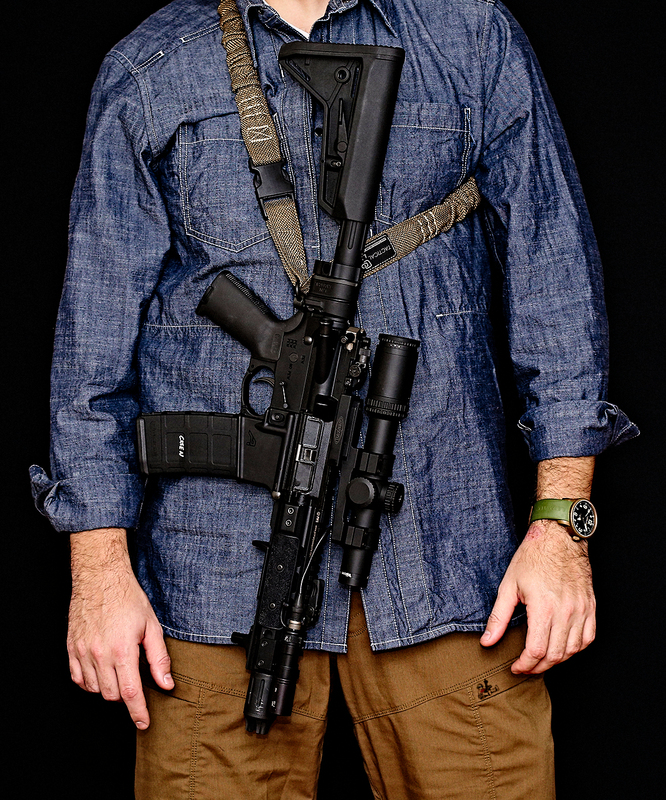 I did not talk about using the MIL-Square in conjunction with 5.56 BDC, because Trijicon has an LED Accupower which was specifically designed for BDC . 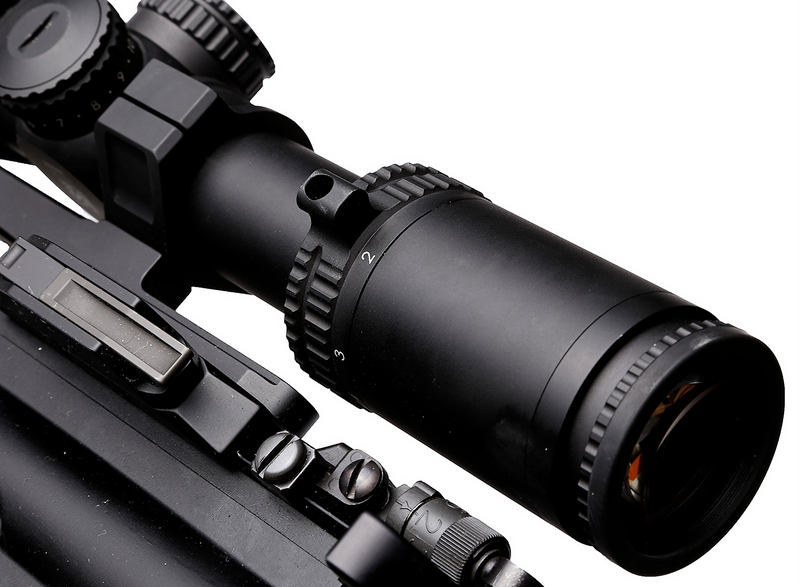 The MIL-Square reticle does not work well in this regard either, but you could probably figure out your particular hold over for your particular rifle with your particular load, if you are so inclined. Or you can use a 16" rifle with the BDC reticle they offer with 55gr ammunition and call it a day. I will say that the LED Accupowers are a very good step above Trijicon's Accupoint optics . For the money there is simply no other optic in the 1-4x arena which comes close. 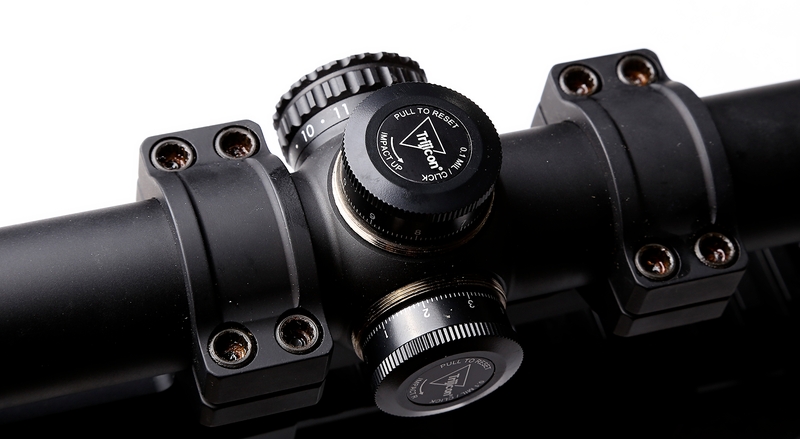 The Leupold VX-R 1.25-4x Firedot I reviewed before is good, but the glass on the Trijicon is better, especially if you absolutely have to have the red dot with a BDC like a lot of people do then the RS24-C-1900006 , Green segmented circle with a green dot in the middle is probably what you are looking for. I really wanted the MIL-Square to be functional but it just is not, and it does not even remotely compare to the USO SR4c reticle in terms of size and readability in use. But the USO is also nearly 2.5x the cost (but it is totally worth it). If you have a little bit more money to spend, the 1-8x RS27-C-1900028 1-8x28 MIL Segemented Circile with Green LED is definitely an optic you should be looking at. It is heavier than the 1-4x version, but they probably realized they needed to make the MIL's bigger which they did on the newer 1-8x version, but that getting into a completely different playing field. The Bobro 30mm optic mount is the best mount I have used to date. It is extremely easy to put the optic in properly and after using a set of Arisaka Defense Optic Leveler you set and forget following the instructions. At this point I have not tried the Geissele Mount but for the money the Bobro is good to go.